Thame Farmers Auction Mart Ltd (TFAM) and Fisher German LLP are delighted to announce the appointment of Fisher German as new rural land agents to TFAM clients. The new arrangement which commenced at the start of June sees Fisher German taking responsibility for all professional work and property sales previously carried out by TFM Readers. Following a detailed review, the Directors of TFAM awarded the contract to Fisher German based on their diverse range of services and local knowledge and their approach to rural business issues and opportunities. The new arrangement will provide, principally the Buckinghamshire, Oxfordshire, Bedfordshire and Hertfordshire farming community with advice on a full range of services from single payment schemes to green energy initiatives. The new arrangement will be managed from both Thame Market and Fisher German's Banbury office which also covers Northamptonshire, Warwickshire and Gloucestershire. Stephen Rutledge, the partner of Fisher German overseeing the arrangement states "the Fisher German team is looking forward to meeting everyone at the Thame and Foscot markets and in using our rural property expertise to help the farming and landowning community in the region. We are fully committed to farming and rural industry and we fully understand the issues that farmers and landowners face. With our broader range of skills and services, we can assist them with moving in the right direction". 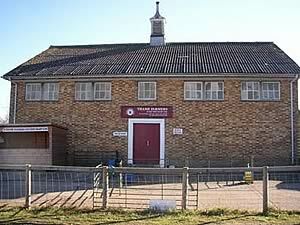 Brian Lloyd Chairman of Thame Farmers Auction Mart adds "after a thorough tender process we decided to appoint Fisher German as we feel they are best placed to deliver what our clients need and they offer progressive thinking about how we can adapt to the ever changing agricultural marketplace".